Cameras, adapters for cameras, monitors, laptops, NOT included. They are only shown for reference. 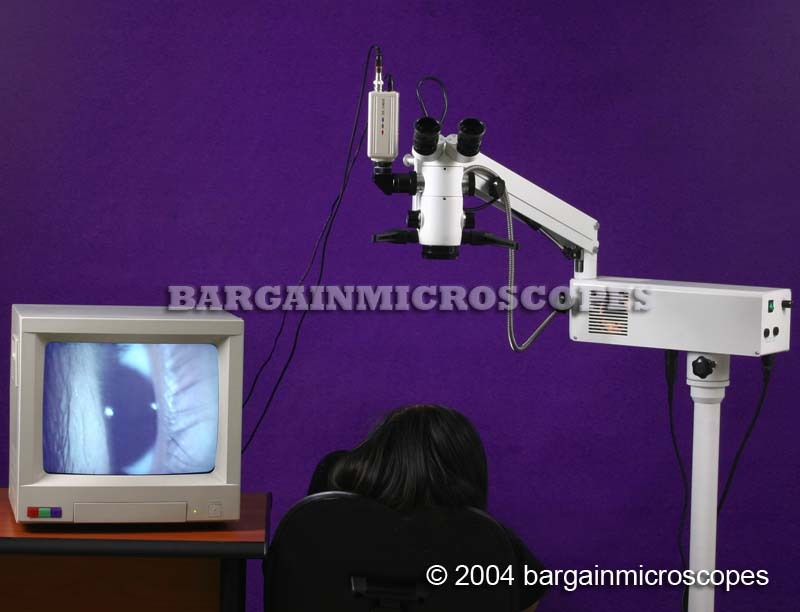 Ophthalmic Eye Surgery Operation Microscope. 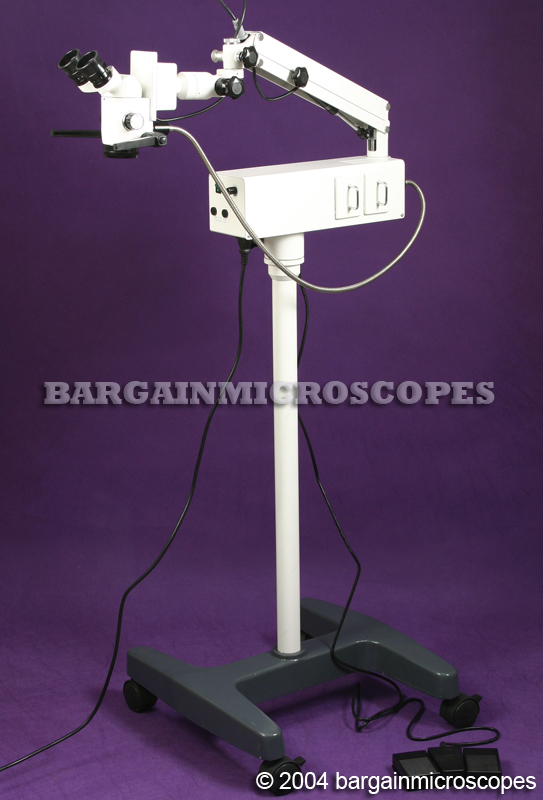 Floor mounted stand with motorized foot controlled focusing. 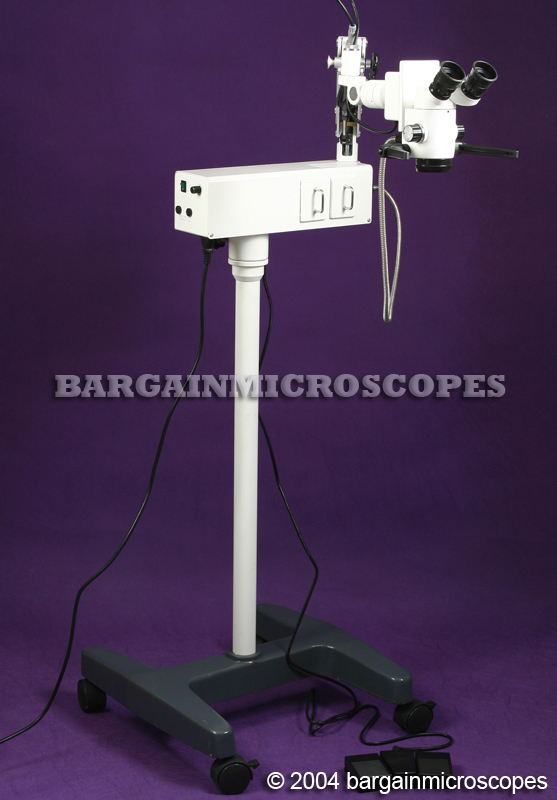 Surgical Operation Microscope for ophthalmology. 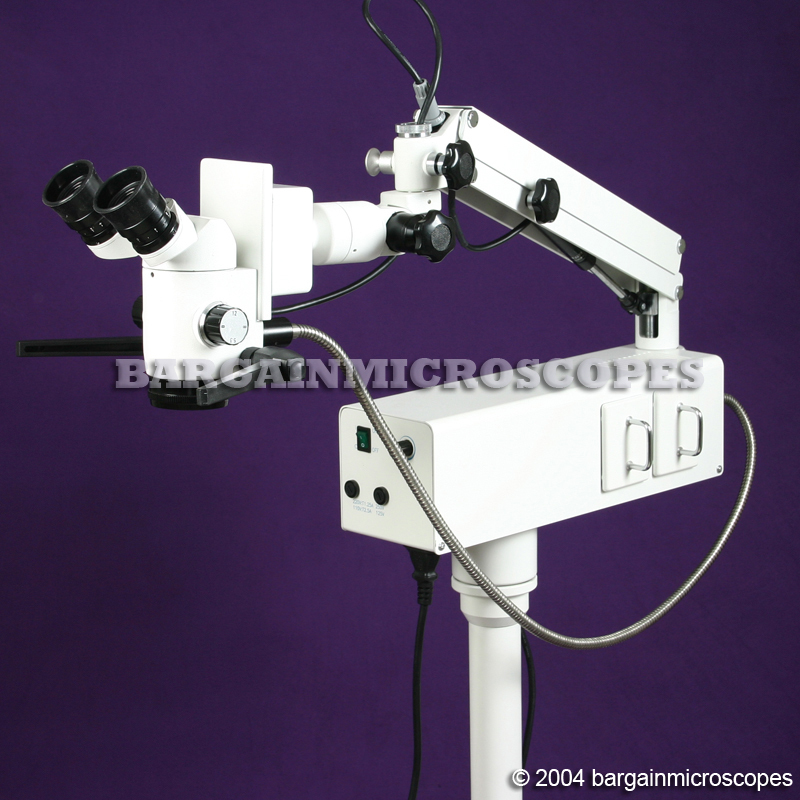 Angled binocular head for ophthalmologist use. 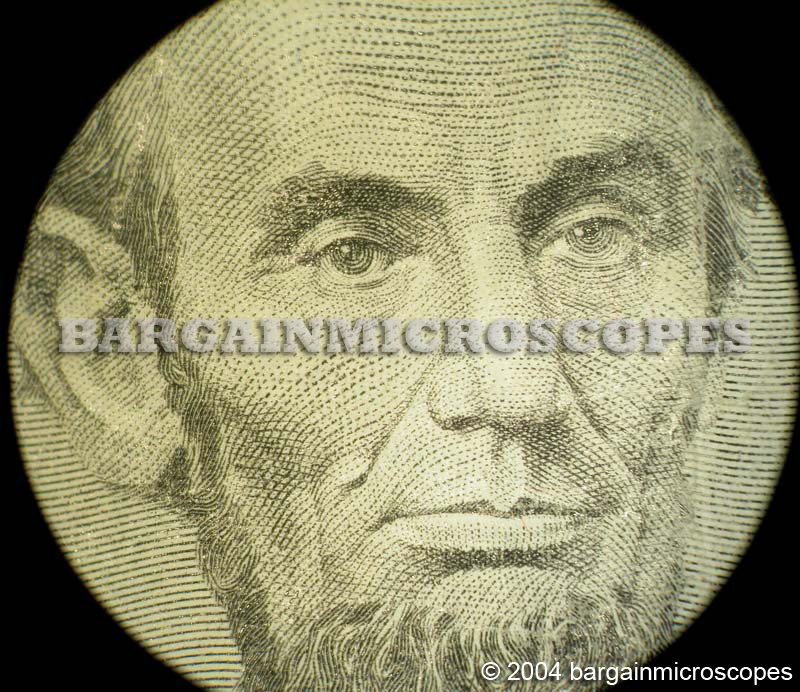 Incredible low price for high quality optics. Camera and Monitor are not included. 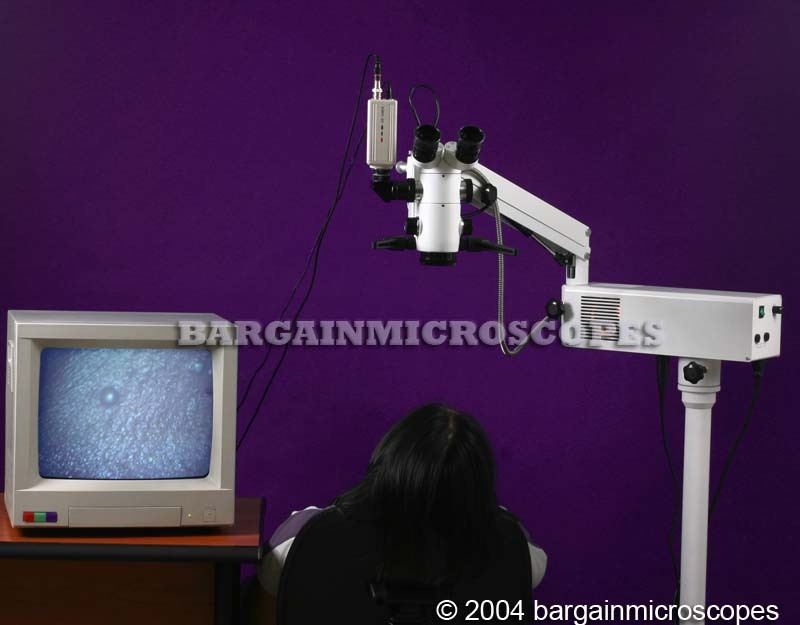 They are shown only to demonstrate the video microscopy capability of this microscope. Rollers on Four Feet for Excellent Mobility! 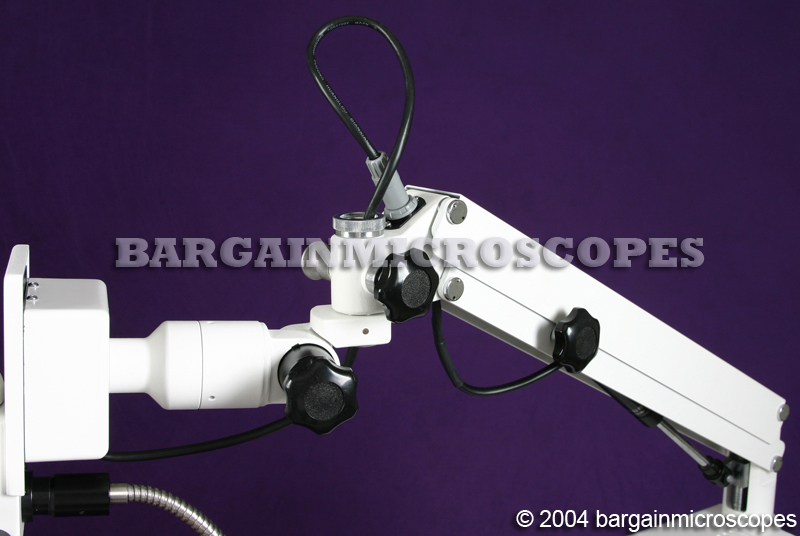 Hydraulic Articulating Boom Arm can be Pulled Towards Working Area, then Retracted Out of the Way! This unit has multiple degrees of freedom for rotation and movement and can be locked into place at each pivot point to allow for stable and fixed movement. 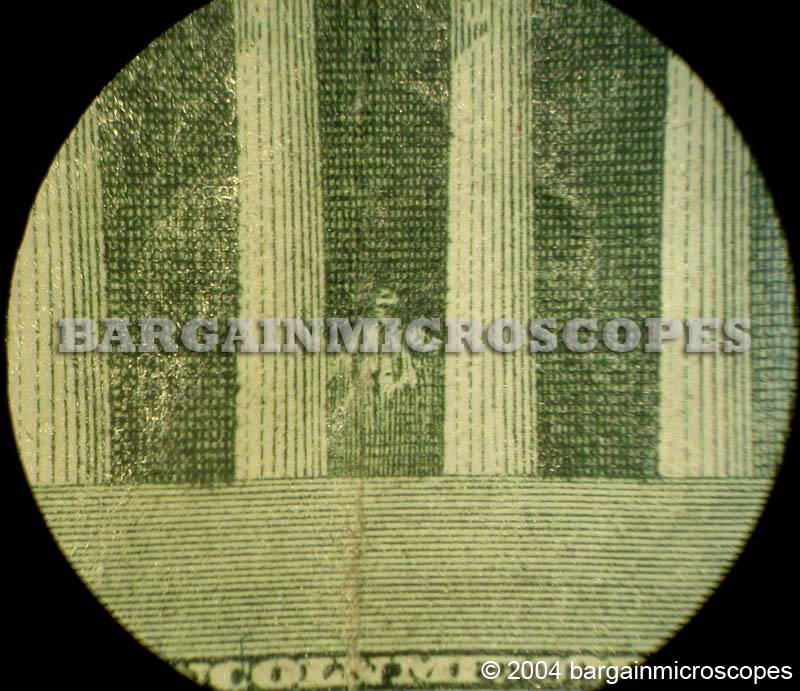 Three Magnification Levels: 5.3x, 8x, and 12x. 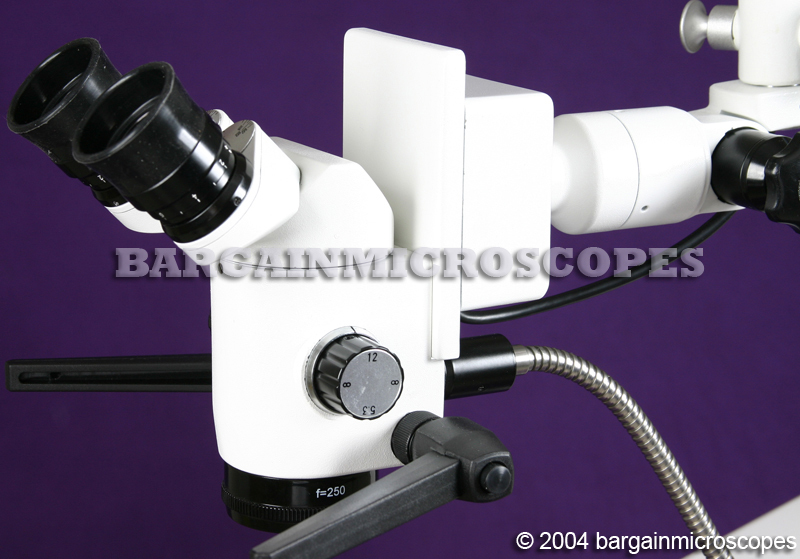 With 12.5x Eyepiece set. Coaxial Through The Lens Fiber Optic Illumination. High Wattage 100W Halogen Bulb with Fan Cooled Housing. Includes Built-In Spare Bulb for Simple, Easy, and Instant Replacement of Bulb. Fiber Optic Cable from Light Source to Microscope Head. 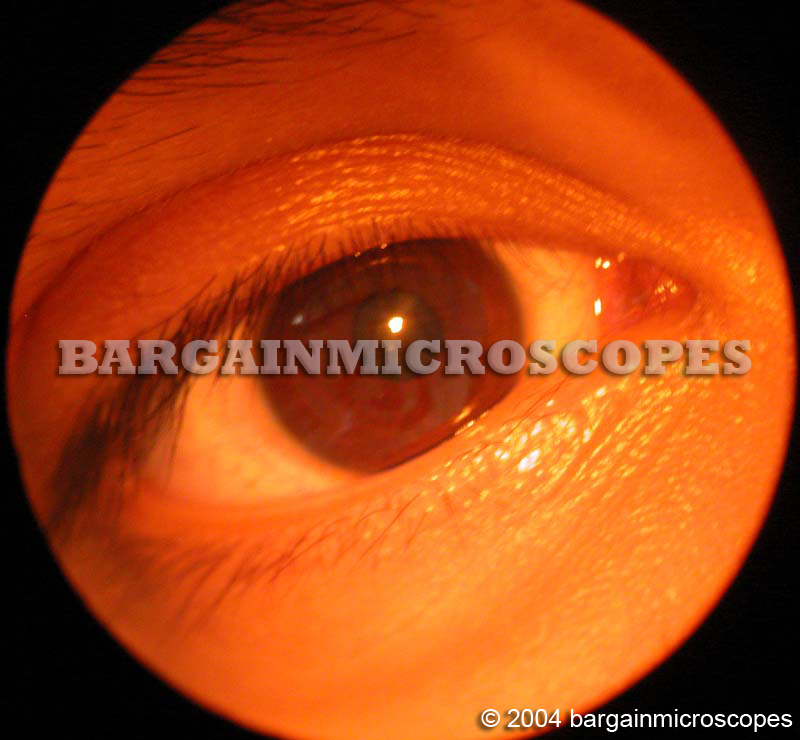 Adjusts to the Distance Between your Eyes: 40 to 80mm InterPupillary Distance. Motorized Focusing via Foot Control Switch keeps hands free for other use. 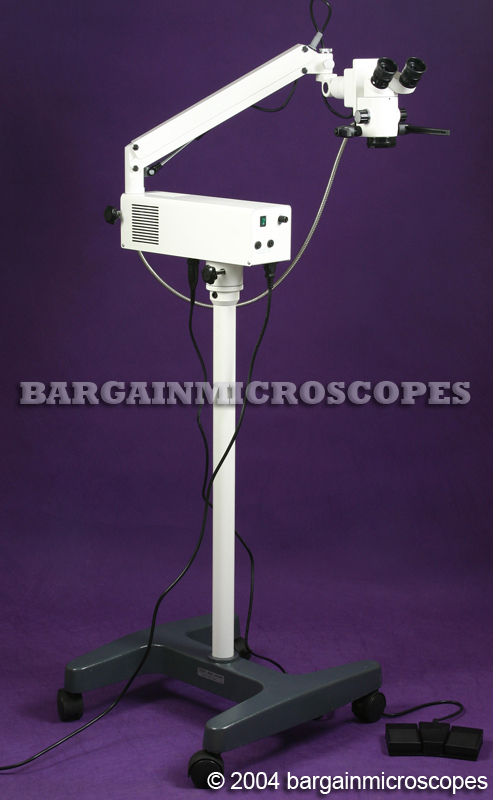 Includes F200mm Objective that provides 250mm Working Distance. 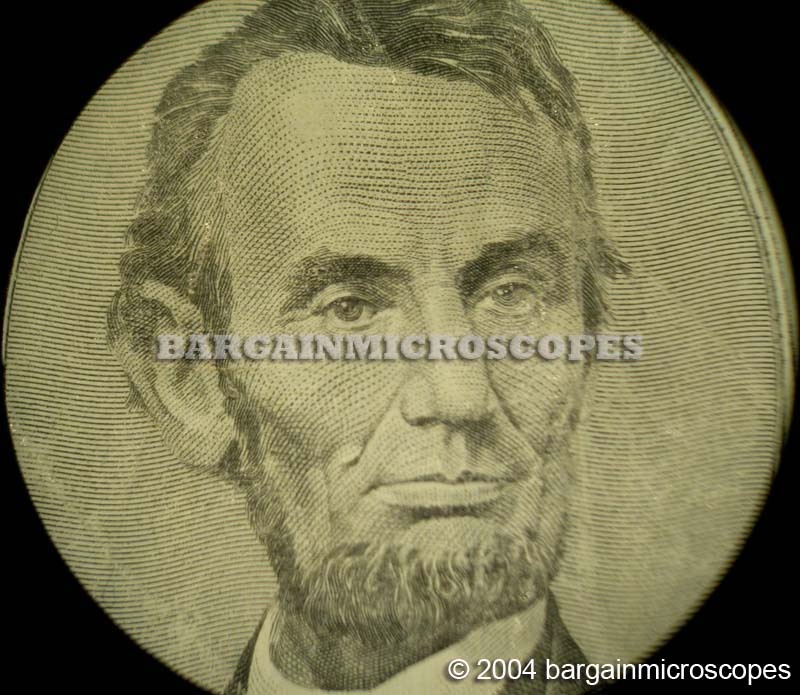 Fine Focusing Adjustment Range: 30mm. Heavy Solidly Built Articulating Boom Stand. Ships in Three Boxes. Instrument Weight 44.5. Maximum Stretching Radius of Arm: 870mm. 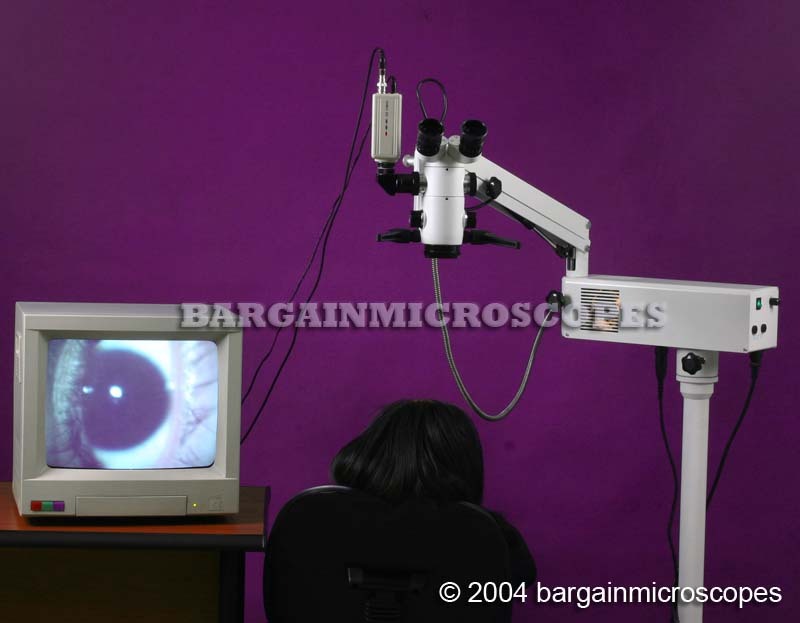 Vertical Movement Range (from floor to front surface of objective): 700 – 1100mm. 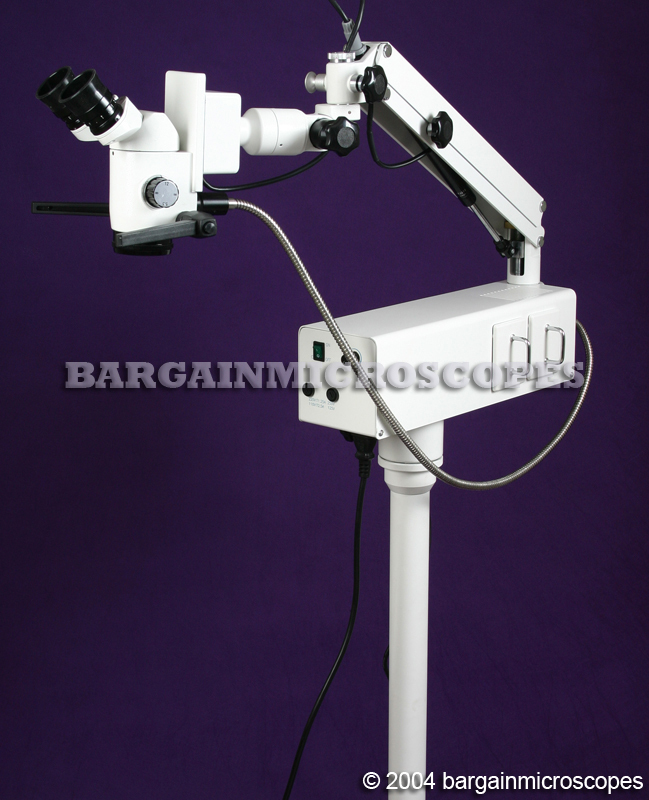 This microscopy equipment is protected by a 1 Year Warranty from Manufacturer.